May 5 is Children’s Day in Japan. Parents with sons display miniature armor so that their sons grow up healthy and strong. Traditionally, the armor is based on famous designs, such as Date Masamune’s get up. However, in the past few years, there have been armor sets based on popular culture, such as Mickey Mouse or Star Wars-themed armor. 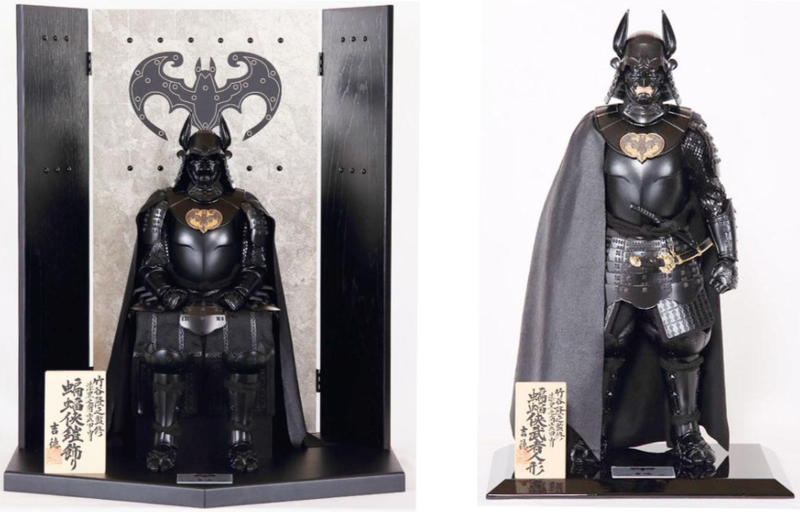 This year, Batman is getting the samurai spin with Children’s Day armor. According to Japaaan, there are two sets (see above), with one set measuring 730mm high while the other is 620mm. They cost 300,000 yen ($2,700), which is around what these sets usually cost.